I was sick last week so I made these a bit late. But they were worth the wait! I had already bought the pears before I got sick too, so I was really bummed I couldn't make these on time. Better late than never, right? It seemed like the gods were against me on this one. 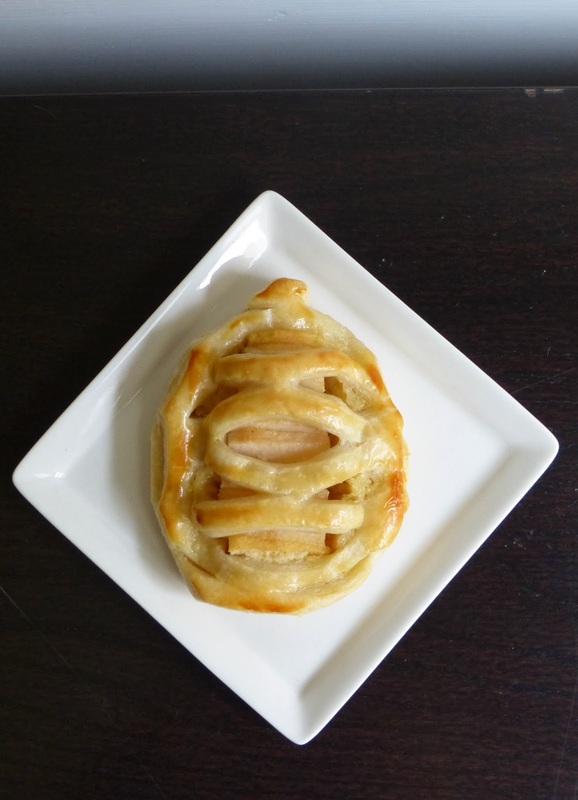 I was sick, didn't have a pear cutter, and didn't have a lattice cutter either. But I made it work! I had to make more puff pastry, as I had run out, so that took a whole day. 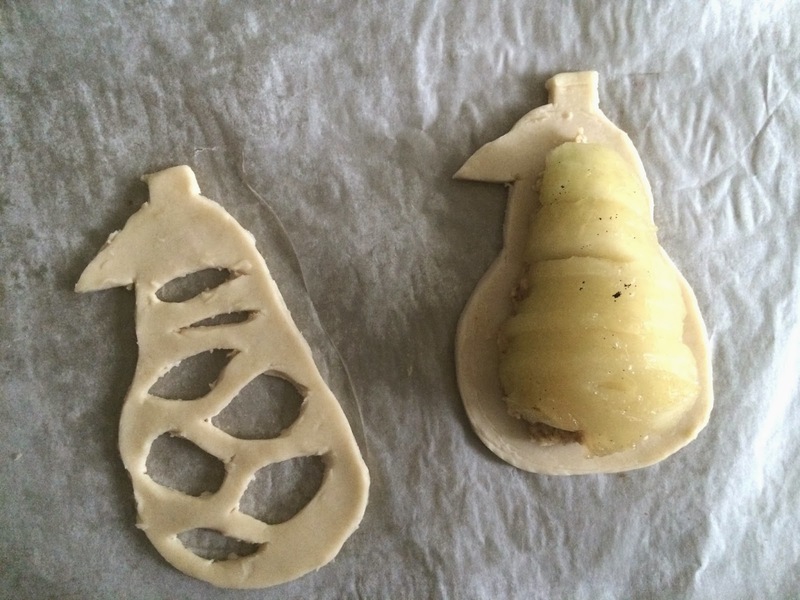 Then I poached the pears overnight, and was ready to assemble. It took a lot longer than I expected. I used a pumpkin shaped cookie cutter to get a rough impression, and cut the shape a little narrower. Rolling out the dough, making the impressions, slicing the pears and placing them, cutting the lattice and laying it over were all really time consuming tasks. It took nearly all day! The pastry puffed up nicely and browned well, and the smell was wonderful. These would be lovely warm from the oven with a scoop of vanilla bean ice cream. 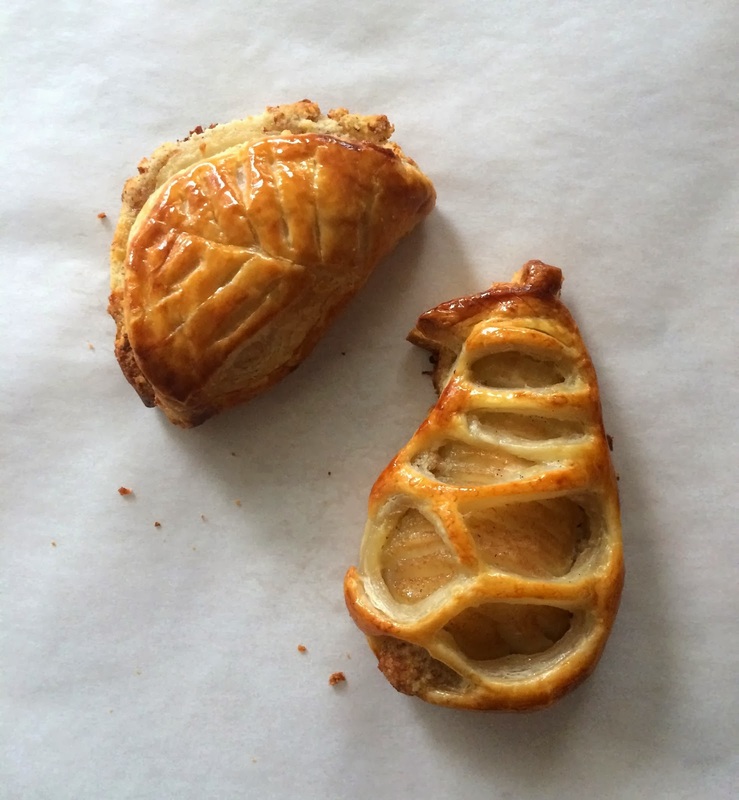 The one thing I'm having a hard time with is finding uses for the scraps of puff pastry. The book says, reserve for another use. What use? If you combine the scraps and re-roll them, it won't puff up as well. I've ended up making various shaped cheese straws from them. But I wish there was a better use for the scraps.